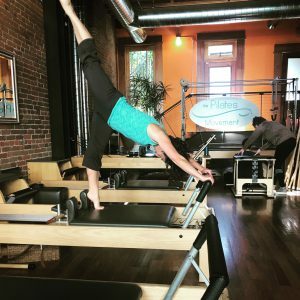 The Pilates Movement – Pilates studio located in Denver's LoDo neighborhood. The Pilates Movement offers high quality, client centered instruction to people of all ages and abilities. Located at 1754 Blake Street in Denver’s LoDo neighborhood since 2007. Dana discovered Pilates in 2000 and was instantly hooked! After completing the prestigious Teacher Training program at The Pilates Center in Boulder where she studied with a number of 2nd generation Pilates teachers, Dana taught for six years at a prominent Denver studio before opening The Pilates Movement in 2007. 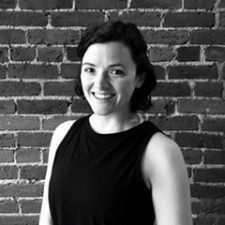 Dana’s has trained and mentored other Pilates instructors, has worked with individuals with specific rehabilitation needs, as well as trained competitive athletes. She is committed to her own development as an instructor and has attended Pilates workshops around the country with Kathleen Stanford Grant, Rael Isacowitz, Michelle Larson, Mary Bowen, Irene Dowd and other esteemed professionals. If you have any questions or comments for Dana, please email her at dana@DenverPilatesMovement.com or stop by The Pilates Movement. Jen is a lifelong lover of movement, including dance, color guard and yoga. While performing in London and on Broadway with the visual ensemble in Blast! in the early 2000s, Jen was introduced to Pilates. In addition to feeling stronger and healthier, Jen was captivated by the level of focus and precision Pilates required. She completed a comprehensive program in Spring of 2017 and has been loving teaching and learning more ever since then. 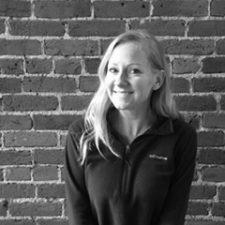 Jen’s is also a graduate of the Nutrition Therapy Institute , and is a certified nutritional therapist. When not teaching, Jen enjoys traveling, hiking, knitting, and playing with her kitty! Mara began practicing Pilates over 15 years ago to complement her ballet training. While dancing with Dawson Wallace Dance Project in 2013, she suffered a hip injury. It was then she realized the amazing healing power the method offered. Pilates made her stronger and smarter about her body. She graduated from the Teacher Training Program at The Pilates Center of Boulder in 2014 where she discovered her love for teaching and healing. In anticipation of attending physical therapy school, she has studied anatomy and physiology courses. She loves to share her knowledge of the body show others how Pilates can get them to feel good in their bodies every day! Brian discovered the power of Pilates while supplementing his strength training routine. Finding that he could gain strength and flexibility without the impact of weights, and seeing the benefit his personal training client found using Pilates, he became an advocate. Brian’s passion for movement extends beyond the studio: he loves skiing, hiking, claiming 14ers, aerial acrobatics and powering through the city on his bike. 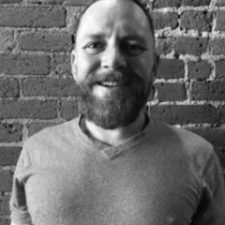 Over the past 15 years, Brian has taught Pilates to all ages, abilities, and special needs. Let him show you how to be a more efficient mover, whether you are an athlete or learning how to protect and strengthen muscular-skeletal issues. Stefny, trained in Stott Pilates, became passionate about Pilates after dealing with the pain of 2 back injuries; breaking a vertebrae in gymnastics as a child, and again during childbirth. After trying many physical therapy treatments, she finally found Pilates. Pilates brought her daily pain down to almost nothing and got her back to all of the things she loves, like snowboarding, yoga, hiking, biking, running, and traveling. Stefny strives to give her students the same positive healing experience that she found. She’s passionate about helping others get back into what they love through Pilates and continuing to aid in their journey to healthy, strong bodies and minds! 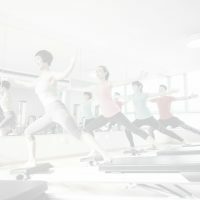 There is a 24 hr cancellation policy for all classes/lessons. All packages are valid for 6 months of purchase date. Please check our online schedule for the most up-to date schedule. "Pilates makes you taller. I didn't need to duck when I walked in the changing room when I came in, but after my session I needed to." "I like the feeling of a whole body stretching and strengthening workout in a calm environment." "Since I started doing Pilates I have noticed that my muscles respond better during other activities, my breathing and overall health has improved, and I am mentally more relaxed." "I feel like I've gotten a massage when I'm done. It stretches me in places I didn’t even know I had. Also, I work my muscles in a much deeper way than any other forms of exercise I've tried." "Last year I endured a stress fracture from running. After six months without running and one month in a walking cast I went for a gait analysis and it was recommended that I try Pilates to strengthen my stabilizer muscles. After two months my core is so much stronger and I am back to running." "I first went to see Dana in 2001 after I had suffered an injury resulting in severe pain and loss of strength from a herniated cervical disc. I also had chronic pain and mobility issues from multiple knee surgeries. Dana's expertise and hands-on teaching style has enabled me to once again move without pain. Today, I am stronger, more flexible and living a much higher quality of life than I had been able to do for so many years." "Every time I come to work out, my body is in a different mood...Dana is always very flexible with her approach and sensitive to my conditions. I rely on my sessions with Dana and know that her work with me is critical to my physical well-being." I feel like a more complete person after Pilates. I have a feeling Pilates is what keeps me alive. This is, by far, the best thing I do in my life. Is it possible that I feel amazing after one class? ?